Founded in 2008, we are committed to giving special needs kids an opportunity to participate in a variety of activities at their own pace an d in a non-competitive, accepting environment. Special needs children from any school district are welcome to attend our programs and we strive to include their typically-developing siblings, when appropriate. To learn more, come to one our monthly meetings which are typically held the first Monday of the month in the library at CMS. A night out for Middle School and High School teens in grades 6-12. Dance your feet off and enjoy some fun games. It’s a perfect time to socialize with peers, have a snack, and most of all, have fun! 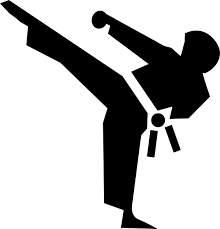 Come join Master Samantha Thomas and Pediatric Physical Therapist, Lisa Frangione, from Motion Matters, for a 6 week karate class. Please email dawn@peakgroup.org with any questions and to register. Exact dates will be given at that time. Introduces the participants to the fundamentals of t-ball, including fielding, catching, throwing, and batting. Emphasis is on learning the skills necessary to work as a team. The atmosphere is relaxed and non-competitive. Dates: Sundays, 4/28, 5/5, 5/19, 6/2, 6/9 & 6/16. Rain Date: 6/23 Note: No session on 5/12 & 5/26. Special Note: Participants must be at least 5 years old and have physician-completed paperwork in order to ride. 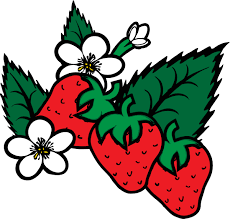 Celebrate the start of summer with a trip to Donaldson Farms to pick strawberries! Please RSVP to Lori@peakgroup.org by June 10th.